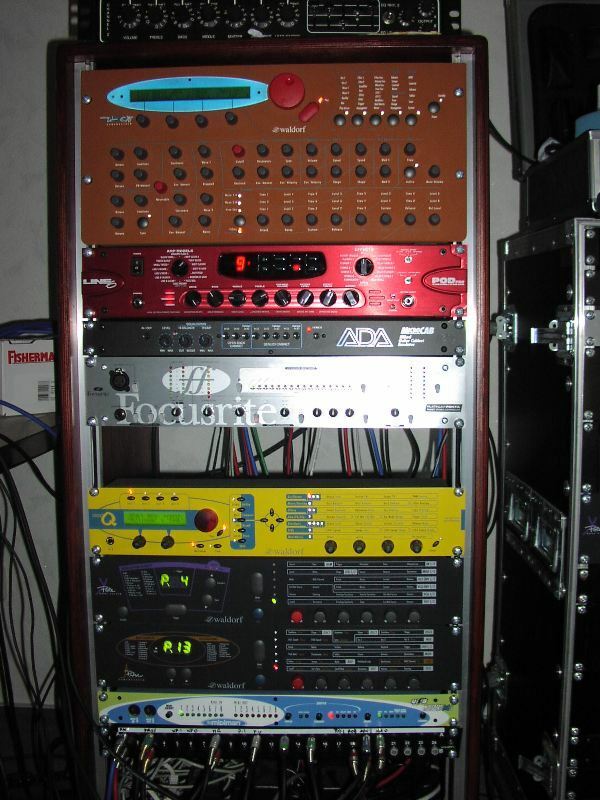 In this rack theres stuff for funny noises, like the Waldorf Microwave XT, the Waldorf MicroQ, the Waldorf Pulse, and the Waldorf X-Pole. Did I mention I'm a Waldorf fan? Also, we see a Line6 Pod Pro, an ADA Microcab speaker simulation (both for guitar recording). Furthermore, a Focusrite Penta, which serves as mic preamp and input compressor. And a Midiman midi interface and a patchbay.